More ceramics, more watercolours! 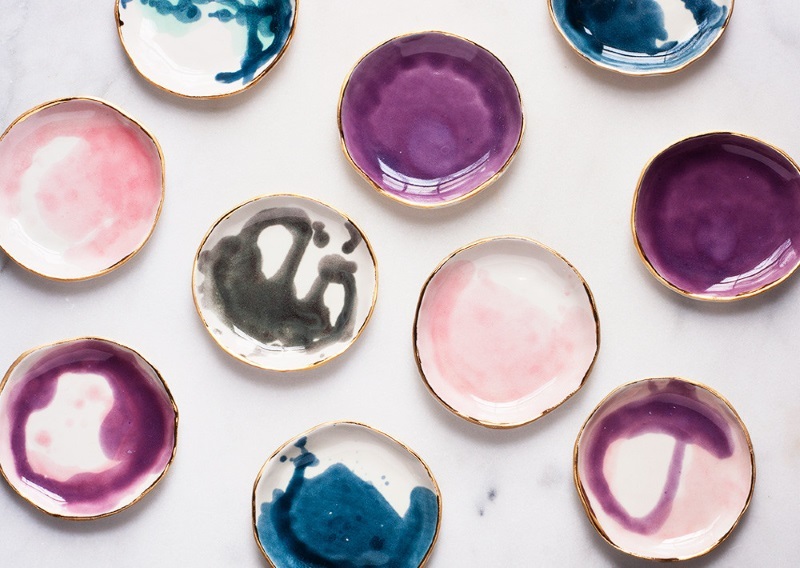 These plates and bowls are part of an ever-changing collection of tableware from a small American design brand named Suite One Studio. 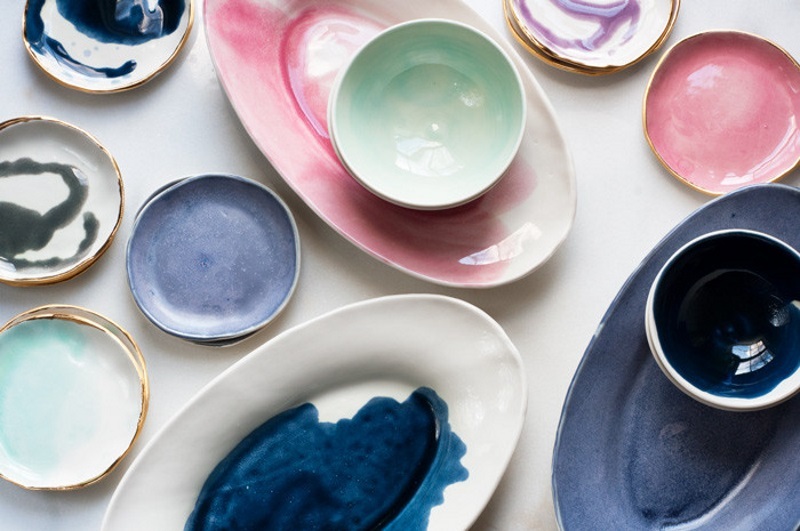 "Few things make me happier than good food shared with good people," says Lindsay Emery, who is the owner, designer and ceramicist behind the company. "I work to design and make tableware special enough to accompany the heartfelt gatherings that make up some of our most memorable moments together. In short, I believe that your plates should earn their seat at your table, and that together we can make mealtimes everywhere more beautiful." The gold rims of the bowls and ring dishes really mind me of these ceramics by Laura Letinsky which I wrote about recently. If it's possible, I think I actually like these ones from Suite One Studio even more than I like Laura's. Each design is made in small runs in Lindsay's North Carolina studio, meaning anything you buy from the site is limited edition. You can find out more about Lindsay here, or browse her shop here. All images courtesy of Suite One Studio.